I fully support women fixing things themselves. I have my own hammer, screwdriver, and pliers, and I have a few odd boxes of nails and screws in case anything is amiss. I mounted my own curtain rods and installed some shelves in my kitchen and bathroom. If anything, I’m ferociously self-sufficient. The home-improvement industry has always been a no-woman’s land known for its drab aisles lined with nail bins and mysterious steel objects whose purpose was understood only by grunting guys in flannel shirts. Now it is going designer pink. 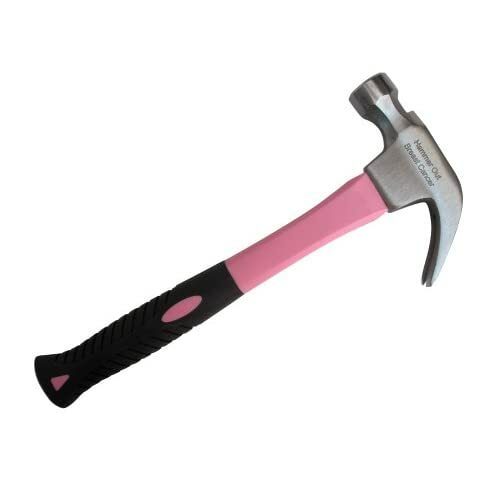 Companies such as Tomboy Tools, Barbara K Enterprises and Girlgear Industries are offering the female do-it-yourselfer fabulous pink hammers and saws in stores and on the Web. These items usually fit snugly inside a smart satchel of the same hue, the tool box as it might be interpreted by Sarah Jessica Parker. Well, maybe. But the truth is that while women may want a lovely home, most of them would also like a good man to share it with. Self-confidence? Quelle horreur! Wrest that power drill from her disgusting feminist hands! And get me a man with six figures who can patronizingly indulge the little woman’s whims! I don’t know what’s more obnoxious: the fact that we’re supposed to think it’s quaint that women are finally taking to tools, or the fact that a well-regarded paper would print such myopic tripe and pass it off as news.